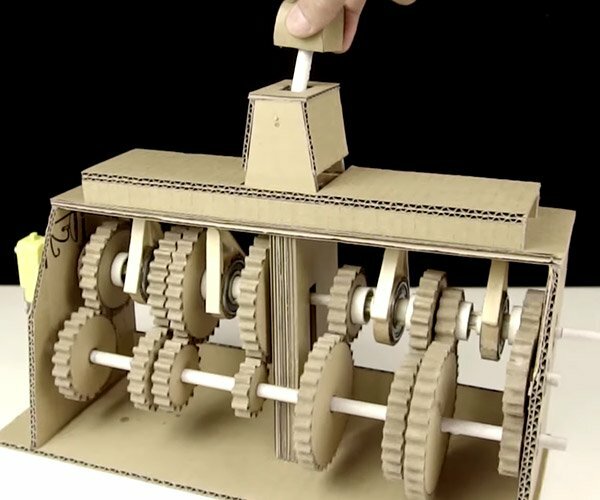 While I’m sure that the iMac is a great computer for many users, there’s just something that irks me about a desktop that’s made out of laptop parts. That being said, they still look pretty good, and have decent specs. 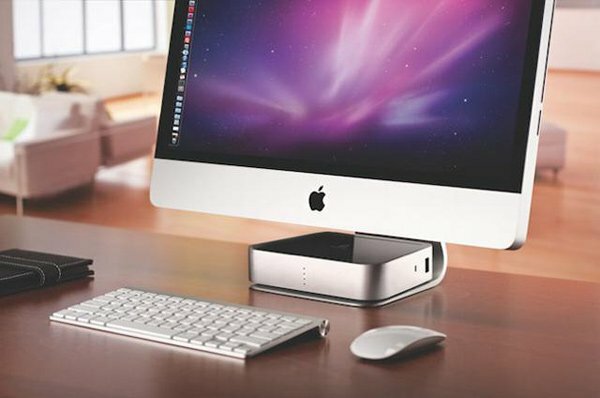 You can now augment your iMac with the Iomega Mac Companion Hard Drive, which adds an external hard drive combined with extra USB and Firewire ports to help plug in your other devices. 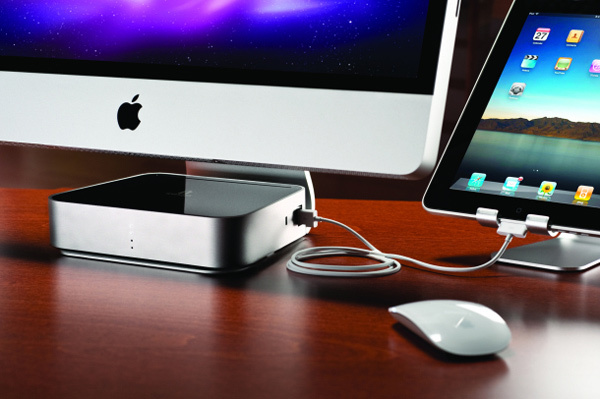 The hard drive comes in 2TB or 3TB capacities and has 2 extra USB 2.0 ports and 2 Firewire 800 ports. It connects to your Mac via USB or one of the two Firewire 800 ports. It comes pre-formatted to work with a Mac out of the box, and it was apparently designed to fit perfectly on top of the base of your iMac or Apple display. It’s also got some LED lights showing the approximate amount of used storage, which is a nice feature. The Iomega Mac Companion costs $195 for the 2TB version and $295 for the 3TB version.